Efficiently read and write various Microsoft Excel file formats. 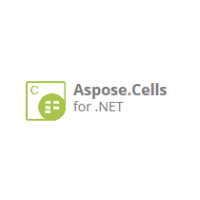 Aspose.Cells for Android via Java is an Excel Spreadsheet component that allows you to develop android applications for reading, writing and manipulating spreadsheet (XLS, XLSX, XLSM, SpreadsheetML, CSV, Tab Delimited) and HTML file formats without needing to rely on Microsoft Excel. 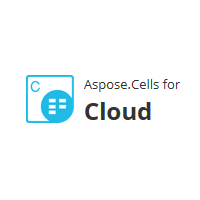 With Aspose.Cells for Android via Java developers can export data, format spreadsheets to the most granular level, import images, import charts, create charts, apply and calculate complex formulas, stream Excel data and save in various formats. Import and export data from an Array, ArrayList or Recordset. Create images and charts through the API. Add a copy of an existing worksheet to a new file. Protection options introduced in Microsoft Excel XP. Save as HTML files or streams. Aspose.Cells for Android via Java gives you complete control over page setup and allows you to manipulate a wide range of display options such as; preview page breaks and set default zoom level for the Worksheet, control data visibility using Freeze Panes, set page orientation, scaling, paper size, headers/footers and print area etc. Aspose.Cells for Android via Java offers a wide range of security features such as; support for Excel 2007 XLSX file encryption and decryption, protect Contents, Objects and Scenarios of a Worksheet and hide or unhide a Worksheet. Aspose.Cells for Android via Java allows you to manipulate Rows and Columns in many different ways. You can easily adjust Row height and Column width as required, auto size the width/height of cells according to contents, insert or delete, hide or unhide and group or ungroup Rows and Columns. 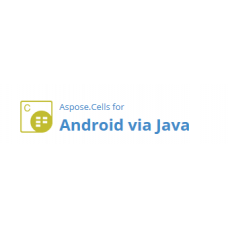 Aspose.Cells for Android via Java provides extensive support for data management. You can easily manipulate any Cell in the Worksheet at runtime, import data into Worksheets from different data sources and export cells data to a DataTable. Aspose.Cells for Android via Java gives you absolute control over how your data is presented by offering advanced formatting features. You can apply formatting to a Worksheet, Row, Column and Cell. You can also add Rich Text to a Single Cell and apply different Borders, Background Patterns and Fonts. Conditional formatting can also be applied to Cells. Aspose.Cells for Android via Java comes with complete support for charting and supports all standard chart types. You can easily add customized charts using the products API and dynamically set data for the charts. Aspose.Cells for Android also allows you to convert charts to images.